Last night at the San Francisco Conservatory of Music, the Left Coast Chamber Ensemble (LCCE) continued its 25th anniversary season with a program entitled Sonnets to Orpheus. However, it was the one composition on the program that lacked an “Orpheus connection” that stole the show. That was the winner of LCCE’s 2017 Composition Contest, a ten-minute work for solo piano by Chiayu Hsu entitled “Rhapsody Toccata.” This piece was played by Katy Luo, currently based in Honolulu but with past connections to LCCE. “Rhapsody Toccata” was true to its name. From the very opening gestures, the listener could sense a ghostly presence of Franz Liszt as the first round of phrases disclosed themselves. However, because the strings at both extremes of the piano had been prepared, the emerging sonorities established that the composer was doing far more than trying to channel Liszt. Indeed, the very sense of “rhapsody” was far more expansive, perhaps with a nod or two to Johannes Brahms and a few rather more obvious evocations of George Gershwin. Where the rest of the title was concerned, Luo played Hsu’s score with a sense of spontaneity, which made it clear that she had established a firm command of all the marks on paper. If composers like Liszt and Gershwin were lurking behind the “rhapsody” noun, the spirit of toccata could be traced all the way back to keyboard music that displayed Johann Sebastian Bach at his most impetuous. The result was a wild ride through keyboard legacies, all delivered with rapid-fire focus by Luo’s capacity for technical command. This is music that definitely merits more exposure, and LCCE has done the music world a serious solid in acknowledging the capacity of an emerging composer deserving of further attention. 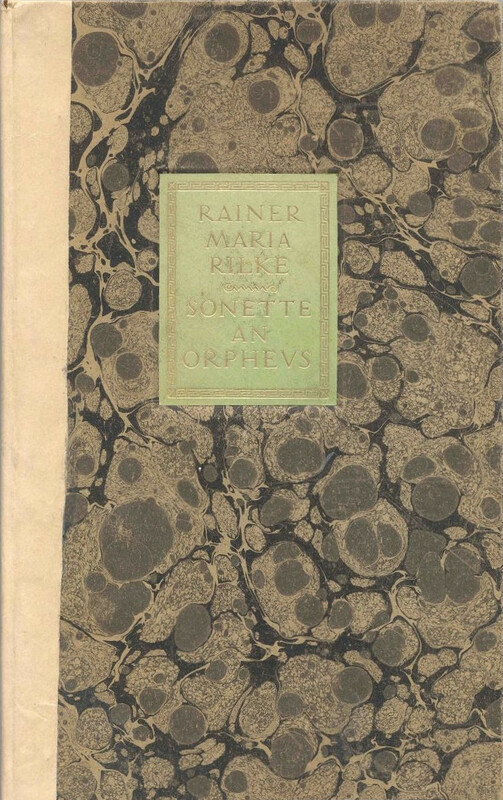 The title of the program was that of a cycle of 55 sonnets written in German by the Bohemian-Austrian poet Rainer Maria Rilke. The second half of the program was devoted entirely to a song cycle by Eric Moe, which set six of those sonnets. This was complemented by the first half, which presented reflections on the Orpheus myth realized in music by Claudio Monteverdi, Christoph Willibald Gluck, Aida Shirazi, and Luiz Bonfá. All of these pieces featured solo flute work by Stacey Pelinka with string support provided by violinists Anna Presler and Ilana Thomas, violist Phyllis Kamrin, and cellist Tanya Tomkins. The Monteverdi and Gluck selections were excerpts from their respective operatic settings of the Orpheus myth. Of these two, the Gluck performance came closest to the original instrumentation, although the “Dance of the Blessed Spirits” was originally written for two flutes. However, the accompaniment was strictly by strings; and one-to-a-part playing offered more intimacy than would be encountered with a larger ensemble. Pelinka’s command of the solo line was confident; and the group, as a whole, offered far more than adequate justice to Gluck’s legacy. Monteverdi did not fare quite as well. In this case the instruments were not quite the right fit to the composer’s own approach to instrumentation, and doling vocal lines out to instruments usually does favors to neither the notes intended for voice or the instruments selected to play them. The title of Shirazi’s piece, which was being given its world premiere, was “Vestiges;” and it was clear from her remarks to the audience that these were reflections of memories of both of these Orpheus operas in a contemporary setting. How well Shirazi succeeded in her goal cannot be assessed on the basis of a single listening experience. It was not easy to recognize the sources behind the vestiges, so to speak; but that is not necessarily to the detriment of the composition. Suffice it to say that this music certainly deserves more listening opportunities. The first half of the program concluded with Bonfá’s “Manhã de Carnaval” (morning of Carnival), which figured significantly in Marcel Camus’ film Black Orpheus. (For the record, Monteverdi’s opera was written for performance during the celebration of the pre-Lenten Carnival in Venice.) Composer Nick Benavides (who is also LCCE Managing Director) created an arrangement played by Pelinka, Presler, and Tomkins. Benavides did not try to go for Bonfá’s distinctively Brazilian rhetoric (the other composer contributing to the film was Antônio Carlos Jobim); but his arrangement definitely evoked a satisfying spirit of jamming among three players who clearly enjoyed each other’s company as much as the music. For all of the engaging features of the first half of this program, Moe’s composition emerged as a serious disappointment. Much of the problem may have had to do with the fact that his understanding of his source text (which was not, strictly speaking, Rilke but came from Stephen Mitchell’s translations into English) seldom (if ever) involved any features that went deeper than the surface. As a result, the listening experience seemed to suggest that the composer had done little more than hang some awesomely impressive virtuoso work for a soprano vocalist on a string of syllables that seemed right for the occasion. Nevertheless, if we put literary criticism aside, it is hard to ignore the awesome talent that soprano Nikki Einfeld brought to accounting for all of those syllables. If disregarded the text, one still had a highly imaginative creation of chamber music for soprano, oboe, piano, and string quartet. One might argue that Moe did not have quite enough imagination to extend over more than half an hour (which was the composition’s duration). However, when one encounters a work for the first time, one learns to take what one can get. 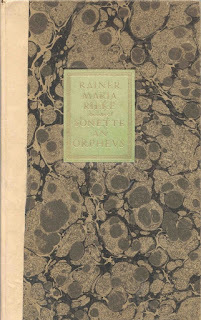 As a journey through provocative sonorities rendered with the best of virtuoso skills, Moe’s Sonnets to Orpheus had much to offer; but it probably would have been more satisfying as a somewhat shorter instrumental suite with a vocalizing soprano.